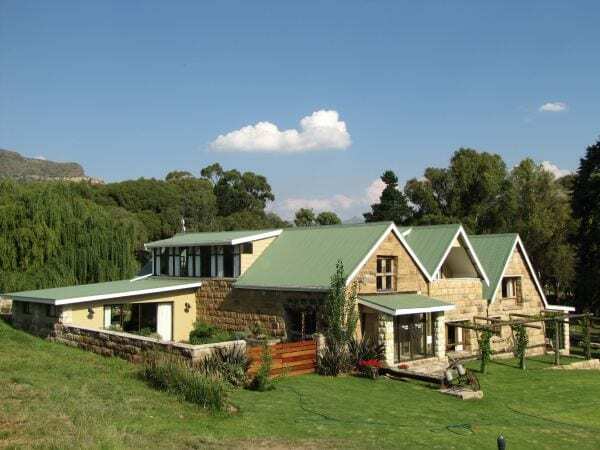 Situated in the Eastern Free State’s Maluti Mountains, The Clarens Country House is the newest lifestyle option in Clarens’s exceptional portfolio of weekend getaways. 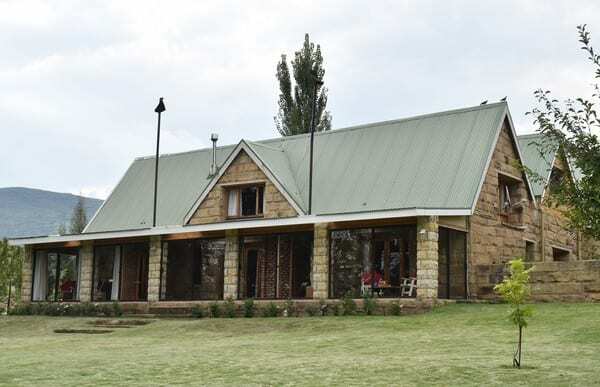 Situated on the secure and scenic Clarens Golf and Trout Estate, this century-old stone sheep shed has been completely remodelled as a luxury self catering guest house. 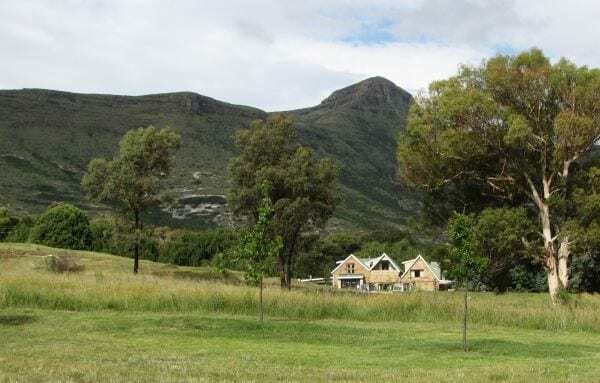 The sheep and their shearers gave way to a cherry liqueur distillery a decade ago, before this historic building was reclaimed to become the place to stay in South Africa’s Tourist Town of the Year. 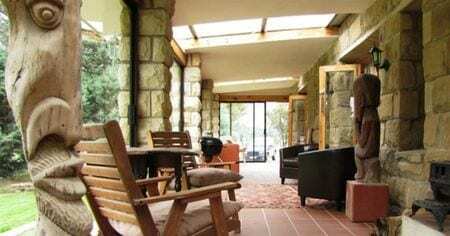 With half-metre thick sandstone walls, The Clarens Country House is a cool retreat in summer and a cosy refuge from Clarens’s invigorating winters. 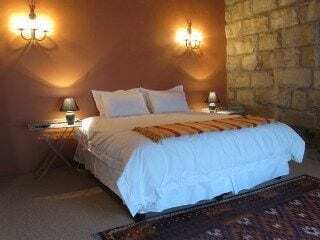 The Clarens Country House offers four en-suite, self catering apartments (The Ouhout Suite, The Wildeals Suite, The Bosman Suite with two en suite double bedrooms – and the Shepherd’s Loft). 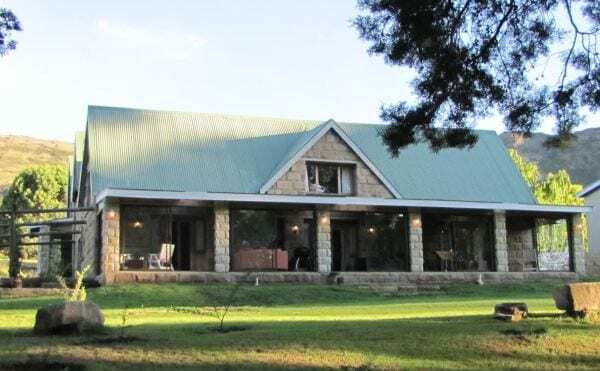 The Bosman, Ouhout and Wildeals suites open onto a 20 metre fully-glazed verandah, commanding rolling lawns and 360-degree views, whilst The Shepherd’s Loft is a separate, private suite – ideal for a romantic getaway. 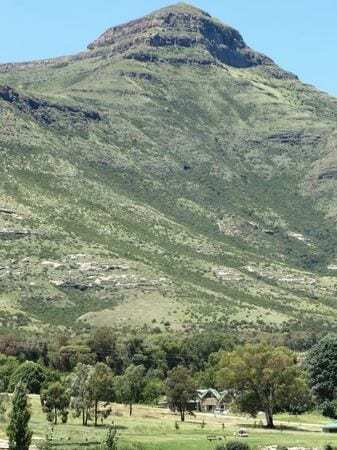 The Clarens Country House is a 5-minute walk from the village square, which offers some of the best shopping, restaurants and art galleries in the country. Deposit fully refundable if booking is cancelled 21 days prior. 14 – 21 days prior to date get 50% of deposit. 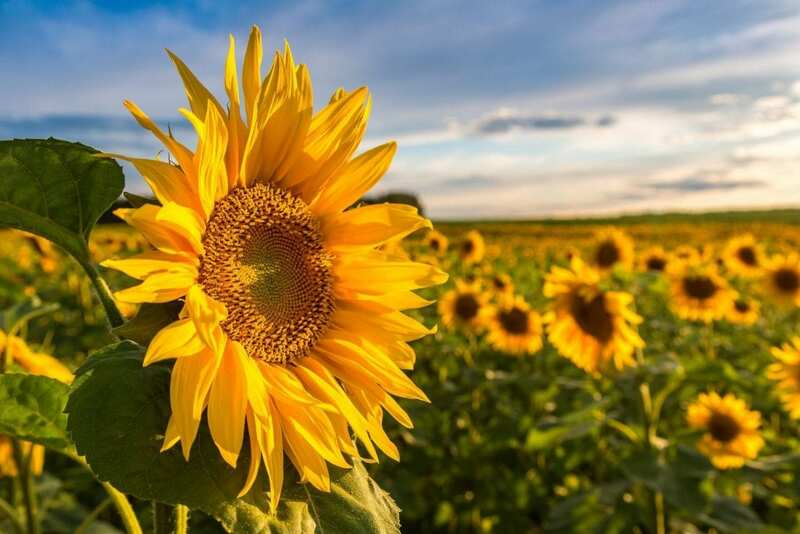 7 – 14 days prior cancellations forfeit 75%. 3 – 7 days prior cancellations forfeit entire deposit and cancellations within 3 days of the booking are liable for the entire amount.